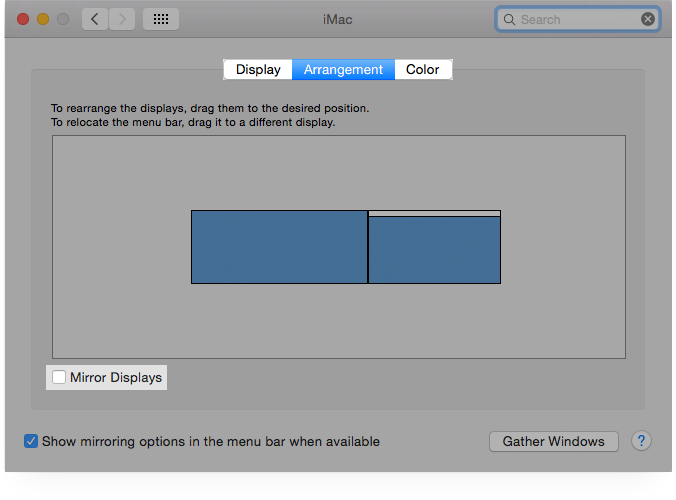 Change these display settings to showcase campaigns on video walls on Mac OSX. 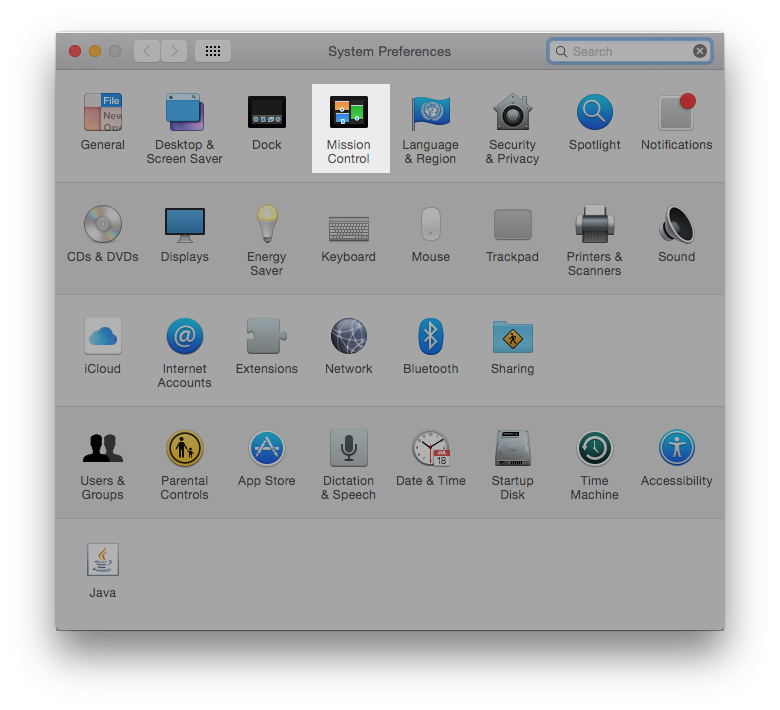 Click on the "System Preferences" icon on your desktop and select “Displays”. In the top tab click on “Arrangement”. Uncheck the option “Mirror Displays”. Back to the desktop. 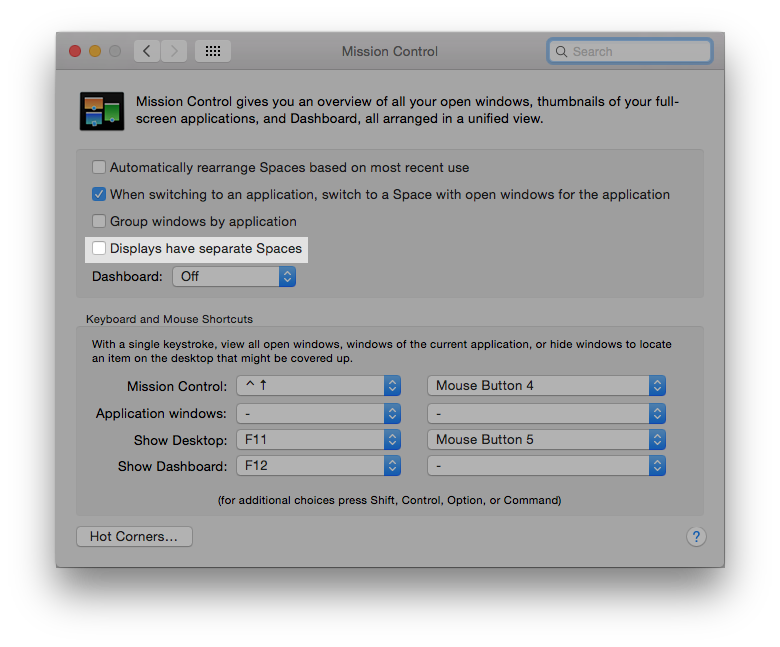 Once again click on “System Preferences” and this time select “Mission Control”. Uncheck “Display have separate Spaces”. Next time you open the OnSign TV App, right-click and hit “Extended fullscreen - Multi monitor”. The campaign will expand to the whole video wall setup.